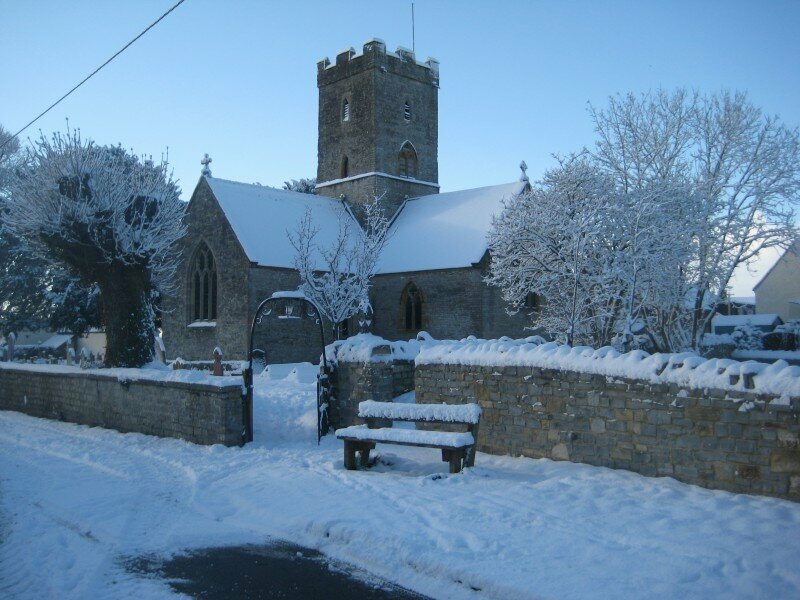 The Parish of Bawdrip was formed long before the present XIVth century parish church was built. It embraced Bawdrip, the separate hamlets of Bradney, Crandon, Knowle, Ford and Wood. Crandon had been a river port in Roman times and the southern slopes of the Polden Hills had been a Romano-British arable farm centred on a villa. This was found in the field known as Churchie Breeches and had corn drying kilns. The general rise in the water level destroyed the port and radically altered the use of the land, changing from corn to grass. The flooding also created a broad island of Bradney where Bradney Farm stands today. The physical changes in the landscape may have encouraged the cranes (giving rise to the name of Crandon) as well as badgers (giving Bawdrip its ancient name of Bagetrepe or Baggedrippe). Today cormorants are regularly seen along the King Sedgemoor Drain which runs through the area. The Domesday Book of 1086 records the settlements at Bawdrip and Bradney as being owned by the great local landowner Walter de Dowai or Douai. Walter de Douai, son of Urso of Douai near Lille in Normandy was also at the Battle of Hastings and held 37 manors including extensive lands in Devon. For several centuries his descendants, the Lovells of Castle Cary, were the feudal overlords. 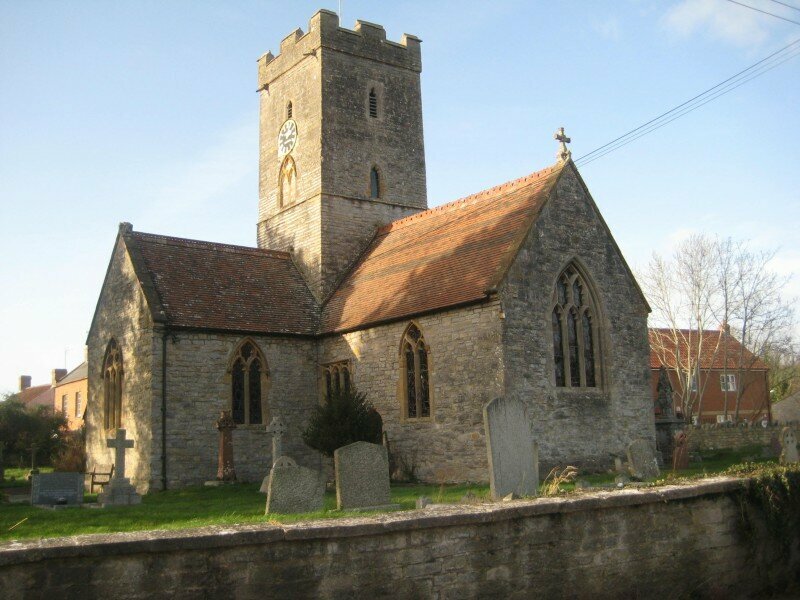 In the Middle Ages the real powers in the parish were the families of Baggedrippe, Bradney, Ford and Wroston (or Worston and later Wroughton). The Baggedrippe’s took their name from their native village and appointed the rectors in the early Middle Ages. 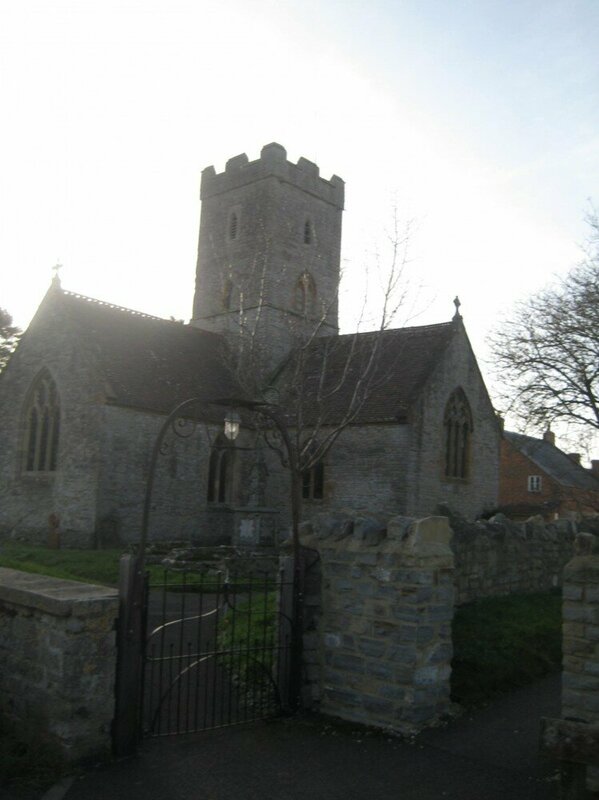 In 1291 Robert de Baggedrippe gave the church of Baggedrippe, which belonged to him, “jure patronarus” to the abbey of St. Athelwin of Athelney. In 1292 the living of Baggedrippe was taxed at 12 marks. The other families were not entirely subservient to the Baggedrippes with the Fords and Bradneys building private chapels for themselves - Adam de la Ford building his in 1305, dedicated to the Virgin Mary. The list of Rectors of the Parish starts in 1312 with William d’Edington. In 1333 Robert le Fitzours was Rector and then there is a gap until 1402 when Thomas Kele took over. 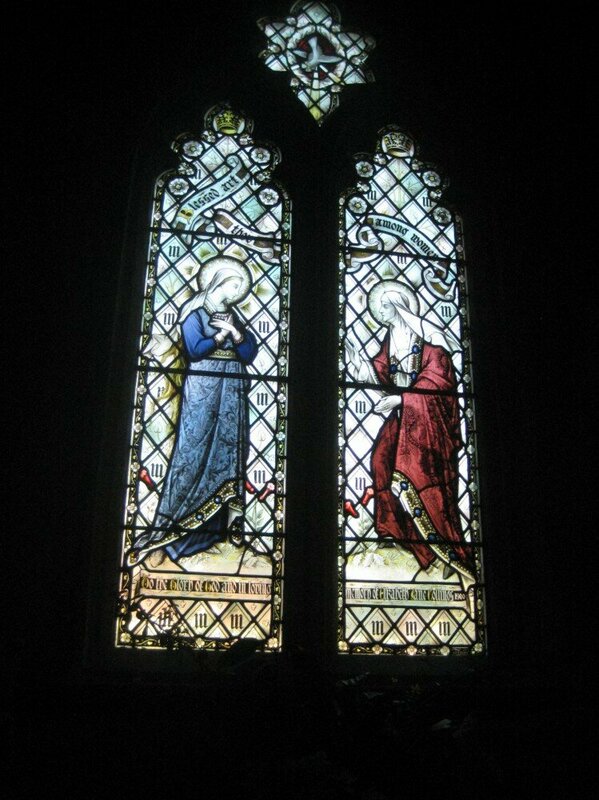 In 1330 Sir Simon de Bradney founded in the Lady Chapel a chantry for one priest to pray five consecutive days each week for him and his father, Joachim. He further endowed it with a house and 18 acres of ground. Sir Simon was a knight of the shire in 1346 and had considerable possessions in the neighbourhood. At the end of the North Aisle his effigy in armour lies under a large Gothic arch. Between his hands there is a heart cut in stone indicating that only his heart is buried there. It was common practice for knights who held land in more the one parish to have the heart buried in one and the body in another. It is also known that if a knight fell in battle far from home then only his heart would be returned for burial. In 1348 special prayers were said in the Church, praying that the plague called the Black Death, which was raging abroad might not visit England. Unfortunately by the following autumn it had come as far west as Somerset and many people died. The plague revisited the area towards the end of the century and the break in the list of Rectors may owe something to the confusion and panic of the time with no record of the appointment(s) being kept. It is also possible that no-one was available to fill the post. In 1554 the churchyard walls needed repair - a common complaint down the years! Part of the reason is that the level of the churchyard is some three to five feet above the level of the road along side it. It was also reported in 1554 the Edith Harle was reputed to be a witch. In 1568 the parish complained that the rector, Hugo Bagwell did not preach his quarterly sermon and that his house was in decay. In 1598 John Atherton was born in the Rectory. 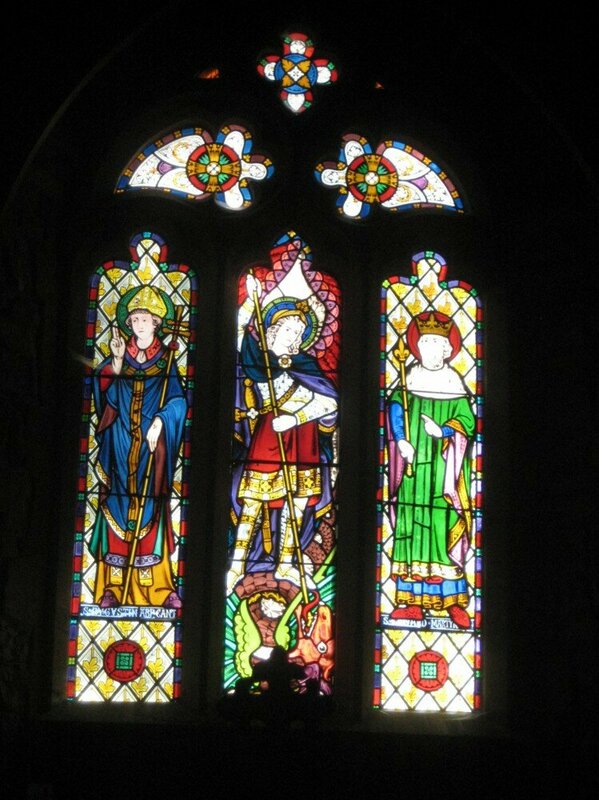 He went on to become the Bishop of Waterford and Lismore and was hanged at Dublin in the year of the great rebellion. 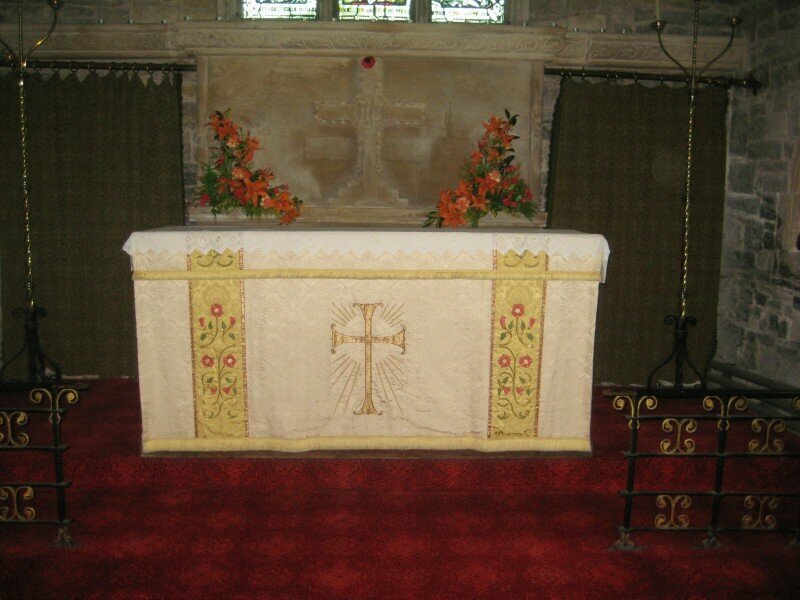 There is a tradition that his body was buried in the Chancel. In 1633 a declaration was read in the church on three separate Sundays before Easter condemning Sunday amusements. This was done by the command of the Judge on the Western Circuit. As a result the Judges were severely taken to task by the Archbishop for taking this course of action without his consent. Two years later in 1635 a visitor to the parish wrote that the sermons of Parson Chapman were so bad that “the parish dog-whipper could do as well”. In 1665, the year before the Great Plague in London, there was an outbreak in Bridgwater (which was a thriving sea port). The country round about escaped the plague but the country people were afraid to venture into the town to trade. As a result a meeting place was arranged in this Parish near Horsey Lane at what was called the ‘Watch Elm’. A large stone is said to have marked the spot where the tree stood. It was here that the country people and the town’s people met to trade their produce and wares. In 1681 one of the most tragic of stories reputedly unfolded in Bawdrip. “Edward Lovell married Eleanor Bradford, by who he had two daughters, Eleanor and Mary. Eleanor, the daughter, heiress of the family honour and estate, died June 14, 1681. Her most sorrowing husband mourned her, taken away by a sudden and untimely fate at the very time of her marriage celebration, and wished this monument to be put up”. Tradition associates the tragic death of Eleanor Lovell on her wedding day with the woeful ballard ‘The Mistletoe Bough’, compiled by Thomas Haynes Bayly, son of a Bath solicitor, some time after 1820. He tells of a fair young bride of one Lovell, son of a medieval baron, who, playing hide and seek in the revels of her wedding day, hid in an ancient chest. Its spring lock shut firmly behind her and she was imprisoned and not found for many years. This tragic fate has long been believed to have occurred in the Rectory. It has also been linked to Knowle Manor - Knowle Hall being the newer building on the same site and being at one time the residence of Cromwell’s General-at-Sea, Admiral Robert Blake (the most notable son of Bridgwater). Thomas Bayly was born in 1797 and lived until 1839. His ballad, based on medieval times, was composed of the happenings and stories gleaned in his own lifetime and can not be related to historical fact. However Thomas Bayly may be related to the Thomas Bayley recorded on the treble bell of 1745. In addition the Lovell family were not only associated with Bawdrip but were descendants of Walter de Douai who owned the Parish in 1086. In 1720 many repairs to the church were carried out. It is probable that the lead roof of the central tower was replaced at this time, as there are a number of initials carved in the lead at the top of the bell tower. There is also the outline of a shoe. In 1866 The Rev J. M. Warren died. He is remembered as the restorer of the church in the dedication at the base of the stain glass window above the altar. As well as saving the church from certain ruin he also sought to increase the grandeur of the small country church. During the restoration services were taken in the tithe barn (destroyed in 1886). Its cruciform shape remained unchanged, being one of only a few in the country to be of this shape. The floor level was lowered by some two feet with the result that there are now three steps down into the church. He also was responsible for raising the roof in the north and south aisles, the original roofline being still visible on the tower wall, removal of the mezzanine floor in the north aisle and creation of the new external door and steps up to the tower. The roof was also replaced during his time and the Victorian nails used are almost completely rusted through. The building was in an increasingly decrepit state in the mid-1800’s and this had become critical by 1864 as the following extracts from the minutes book demonstrate…. It becomes clear why the Rev. Warren has his name on the window above the altar with the words of the dedication remembering him as the ‘restorer of the church’. The year before he died a prayer request was received and was to be read out on the 8th October. This was a prayer for relief from plague in cattle and for protection against cholera. He was succeeded by his son Rev. John Warren (1886-1901). Another request was received by post from the Bishop of Bath and Well in 1892 and was related to the ‘ravages of influenza’ and removal of the plague and to express sympathy with the Queen and Prince of Wales (Jan 19th 1892). Oil and candlelight was used to light the church and this was replaced by electric light in 1950 - the installation work being carried out by F. W. Welsh of High Street, Bridgwater. More recently the old pot bellied stove that stood outside the vestry area was replaced by electric heating. Whilst it did throw out a lot of heat when it got going the stove also got dangerously hot and at least one bride had to be saved from singeing by her husband! The organ was also moved from the chancel to its current location in the South Aisle. Although we are now part of a United Benefice with Woolavington and Cossington and soon to be part of a larger Benefice that includes Puriton and Pawlett, a sense of independence is still to be found in Bawdrip and worship continues in the church with services every Sunday. Details can be found on the notice board by the South Gate. 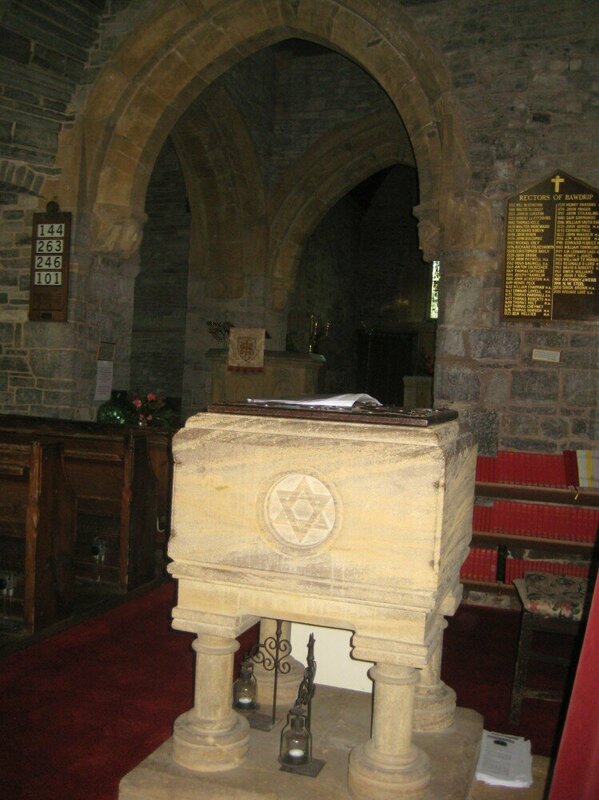 We hope you have enjoyed finding out a little more about our church and some of its history and that you will visit us again.